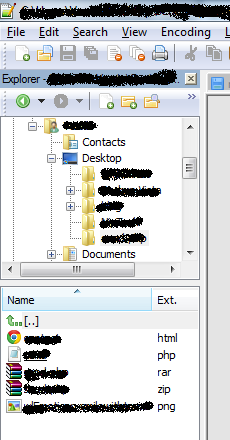 Notepad++is a tool that definitly deserves a spot in our "Most awesome developer tools" list. This more advanced alternative for Notepad is very popular with developers for its syntax highlighting skills. Lets continue... Notepad++ is a superior code editor for developers but "normal users" may get a thrill from it too as it has much more functionality than the default Windows notepad and is more intuitive to work with. It is released under the GPL license which basicly means that it is awesome AND free! Let's begin with some general information: Notepad++ is open source software meaning that it is free to use. At this moment, they are at version 6.2 of this great tool. It is only available for Windows but rumour has it that with the right work around you can use it on Linux and Mac OS as well. The great part about this tool is that provides tons of functionality in a lightweight but incredibly powerful application. As an example: it can load text files up to 600 MB. It can load big SQL scripts that SQL Server will crash on (trust me, I tried this :)). The biggest part of the awesomeness comes from the syntax highlighting and syntax folding support that it has for over 50 programming languages. These color-coding, indentation and folding options provide better structure and therefor better readability, the kind you would expect from a fullblown IDE. Another great feature is the support for tabs so you can work on multiple files simultaneously. Using the split screen functionality, you can view and edit files side by side. The no-nonsense interface is clean and simple, it's intuitive and fully customizable. It supports drag-n-drop and has optional line numbering. It also supports a document map and a workspace view. If all of this isn't enough for you: no problem, you can just use plugins to extend the functionality until it satisfies your wishes. Examples of such plugins are the explorer (to display a file navigator/explorer view), spellchecker (to check the spelling in your files), comparer (allows you to compare the differences between two files), task list (keep track of TODO: comments) and there are tons and tons more! To make all of your wet programming dreams come true: yes, auto-completion is also included in the package :) all you have to do is enable it. 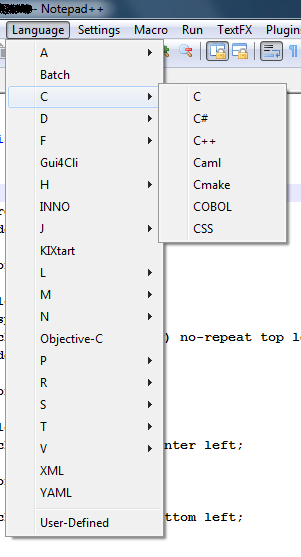 Choose between word or function completion and you can also choose to show function parameter hints. The printing in Notepad++ is according to WYSIWYG, which makes that you can print clean and structured files. There are different types of encoding and you can convert from hex to ascii and the other way around. And for the macro lovers, there's macro recording and playback. 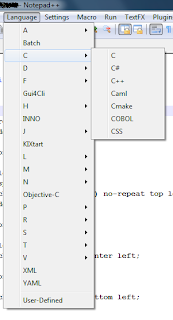 For the die hards among you, there are ways to make Notepad++ a compiler for specific languages, but I'm afraid you'll have to ask Google about that. Form what I can tell it's more an IDE then a text editor but if I'll ever find the time i'll check it out. Does any of you have experience with this IDE? Let me know!